Author and Librarian Cari Dubiel has been fishing through the data stacks of ebooks to find the most popular library mysteries in her town so she can share the titles with us. 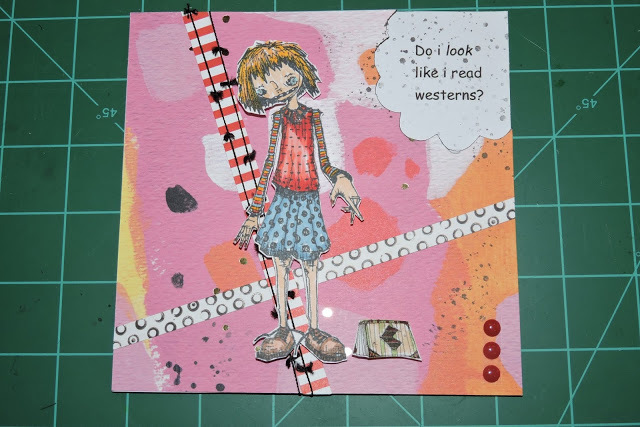 Don't forget to check out details about her book on Ink Shares at the end of the post. Welcome back to Data Hound, the column where we investigate the most popular mysteries in Twinsburg, Ohio – at least by library standards. I’m the Adult Learning and Information Services Manager at Twinsburg Public Library, and I love checking out the stats to see what I can recommend to Mystery Playground readers. Today we’re going to investigate our digital subscriptions. My library subscribes to a few different digital platforms for e-books, audiobooks, movies, and music. We have access to our OverDrive collection through the CLEVNET consortium. All the libraries in the system purchase titles for this platform. Your library may have an OverDrive subscription, but each library purchases different titles, so the selection varies by library. Also, these items are checked out just like real library books, so if someone is using a title, it must be returned before the next person can have it. Hoopla is a little different – my library subscribes to this individually. All titles are available all the time, but you can only check out 15 titles per month. There is a different selection here than in OverDrive, although some titles overlap. Biblioboard is super cool. There are independent authors in here, as well as small press and For Dummies books. Even if you don’t live in Ohio, you can access this resource as long as you go through my library’s web page! Just go to www.twinsburglibrary.org, click on e-collections, then click Biblioboard. Blatant self-promotion: you can even check out my books through this service. Now let’s get to the recommending. In OverDrive, I was able to see the list of most-viewed titles in the past month. Actually, most of those titles are romances! One most-viewed mystery was an audiobook: The Bone Bed by Patricia Cornwell. Welcome back to Data Hound, the column where we investigate the most popular mysteries in Twinsburg, Ohio – at least by library standards! I’m the Adult Learning and Information Services Manager at Twinsburg Public Library, and I love checking out the stats to see what I can recommend to Mystery Playground readers. In OverDrive, I was able to see the list of most-viewed titles in the past month. Actually, most of those titles are romances. 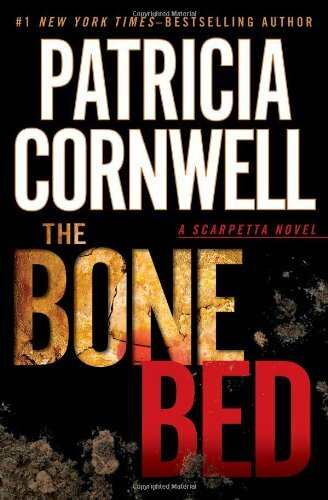 One most-viewed mystery was an audiobook: The Bone Bed by Patricia Cornwell. Kind of interesting, since this book came out in 2012, and Cornwell has released quite a few titles since then. Maybe a book club is reading it? 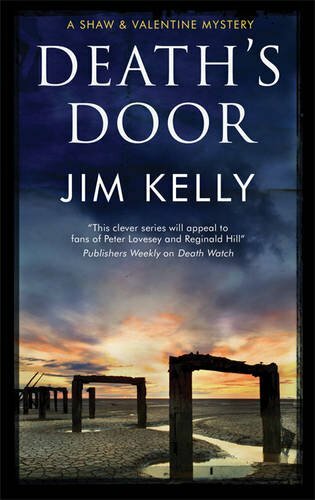 We also had many views on Death’s Door: A Show and Valentine Mystery by Jim Kelly. I have not heard of this author or the title before – it’s the fourth in a series. Many hidden gems here. Moving to Hoopla, I’m able to see both trending titles and unique titles borrowed. 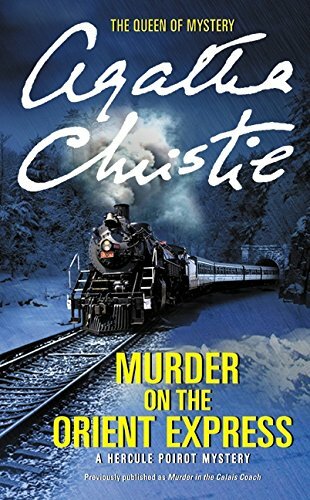 Agatha Christie’s Murder on the Orient Express got a bump – probably from the movie. I saw it on opening night. Another popular title I discovered is When Shadows Fall by J.T. Ellison. I think Ellison is popular in my library in general – I do have people asking for her books frequently. This is a 2014 title, too! A lot of people in Twinsburg are investigating the mystery backlists, methinks. This series follows a forensic pathologist, Dr. Samantha Owens, and it looks great. I’m definitely going to have to check it out. And if you don’t mind checking out MY latest book – https://www.inkshares.com/books/how-to-remember – it’s not in the library yet, but it will be soon. Tune in next time for more data sniffing. 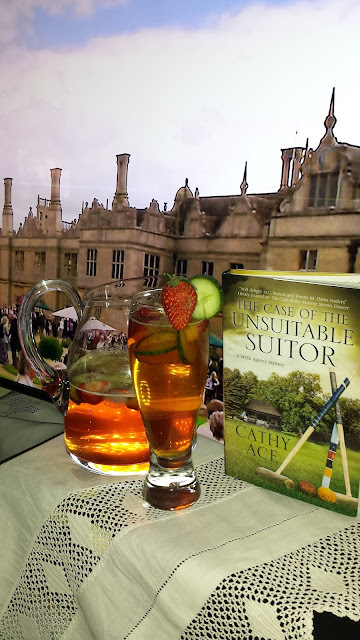 Cathy Ace, author of the WISE Enqueries Agency Mysteries and the Cait Morgan Mysteries, is back with us with another wonderful novel and beverage. 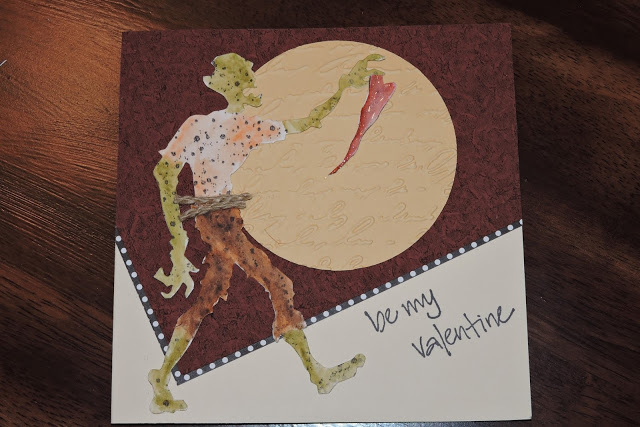 Cathy’s short stories have appeared in multiple anthologies. Two of her works, “Dear George” and “Domestic Violence”, have also been produced by Jarvis & Ayres Productions as “Afternoon Reading” broadcasts for BBC Radio 4. Cathy won the 2015 Bony Blithe Award for Best Canadian Light Mystery (for THE CORPSE WITH THE PLATINUM HAIR) and was shortlisted again in 2017 (for THE CORPSE WITH THE GARNET FACE). “Steve’s Story”, which appears in The Whole She Bang 3, published by Sisters in Crime Toronto, was shortlisted for Best Short Story in the 2017 Arthur Ellis Awards for Excellence in Canadian Crime Writing. You can see Cathy's other Mystery Playground posts here and catch her on Twitter @AceCathy and Facebook. In THE CASE OF THE UNSUITABLE SUITOR, readers are transported to the idyllic Welsh village of Anwen-by-Wye, where Henry Devereaux Twyst is terribly worried about the impact that an outbreak of mole activity will have on the annual croquet tournament that’s due to take place between the Chellingworth Champs (a team comprising those who live and work at stately Chellingworth Hall) and the Anwen Allcomers (those who live and work in the village). It’s the height of the summer in Wales, and the croquet match is on everyone’s mind – though pub landlord Tudor Evans seems rather more worried about the village’s prodigal, Huw Hughes, who’s returned and set his cap at Annie Parker. Tudor approaches Carol Hill and Mavis MacDonald at the WISE Enquiries Agency, begging them to investigate exactly why the interloper Huw has been widowed three times, because he believes Annie’s life might be in danger. They agree, and – with the help of doughty dowager duchess Althea Twyst – they aim to unearth the truth. They also become embroiled in investigating a worrying case of vandalism, a bout of sickness which blights the village, and the death of the local doctor. While the WISE women tackle their cases without her, Christine Wilson-Smythe is visiting her family’s estate in rural Ireland, hoping for a quiet break with her beau, the darkly handsome – if dangerous – Alexander Bright…but the pair is dragged into a dangerous situation involving illegal potcheen and some definitely unsavory types. It’s clear that rural life isn’t the idyll it’s often cracked up to be in this, the fourth outing for Cathy Ace’s popular WISE Enquiries Agency Mysteries. When it comes to a drink to accompany this book, it’s August in Anwen, so a refreshing, gluggable drink is needed. Some think of Pimms as quintessentially English, and this book is set in Wales (and Ireland), but it’s drunk everywhere these days. Pimms is an odd drink, and as British as the women of the WISE Enquiries Agency. Synonymous with languid British summer days it’s the perfect refresher when the temperature soars. Pimms No. 1 is a fruit cup – created by infusing gin with lots of botanicals. It was invented in 1840 by a man named Pimm who spotted that people stayed longer at his hostlery when they sipped, instead of downing, their gin. It can be drunk just mixed with lemonade (it really should be the clear, sweet, British-style of lemonade, not the cloudy, sharper, North American style of lemonade), or can be made with gin, which is where its base flavor comes from. For glugging on a hot afternoon, try it just with lemonade. 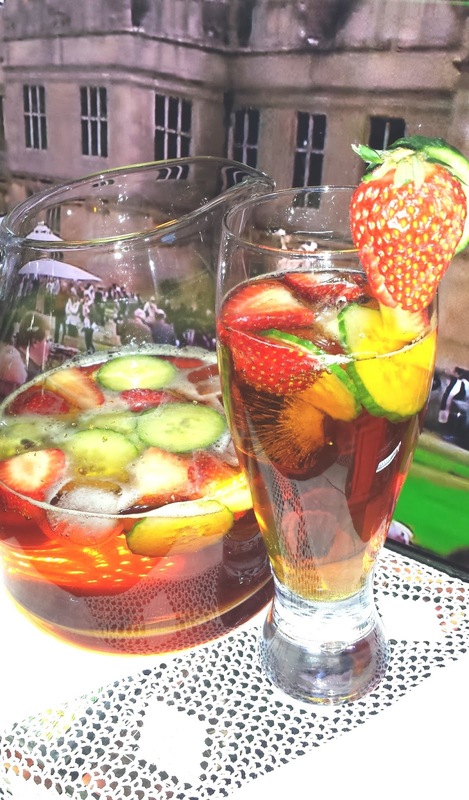 The addition of strawberries and/or mint in the jug, and glass, is preferable, but Cathy Ace says the addition of cucumber is absolutely ESSENTIAL to give the classic Pimms taste. In a large jug, place a lot of ice, about one quarter of a cucumber, sliced thinly, and several strawberries, also sliced thinly. 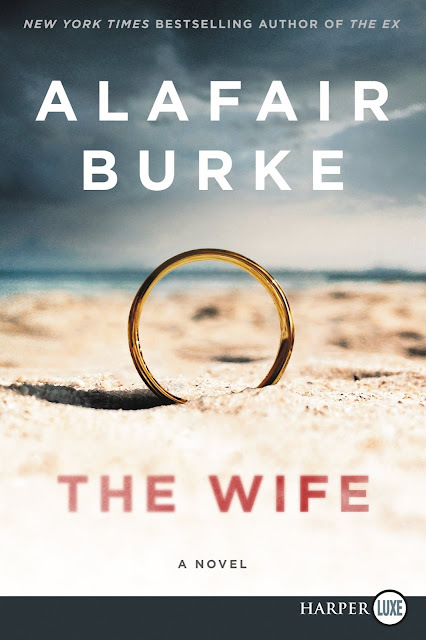 Today Sharon Long reviews Alafair Burke's new novel, The Wife, which was released this week by Harper Collins. This psychological suspense novel is the follow up to Burke's novel, The Ex, nominated for the Edgar Award for Best Novel. The Wife was just named one of the 16 Best Books to pick up this winter by Oprah’s Magazine reading room. Angela thought her life was almost perfect. Her husband, Jason, was a successful best-selling author with a podcast and his own company. Her son, Spencer, was doing well at his Manhattan private school. But most importantly, her past was well behind her and hidden. She was living a quiet, mundane life out of the spotlight until the first claim of sexual harassment came. Jason and Angela were having dinner at their favorite restaurant and he tells her a funny thing happened at work. Jason goes on to explain that one of the interns thinks he is a sexist pig. Anglea asked what happened. He explains the intern mentioned getting engaging and he made some comment about her being too young to settle down. Jason says he cannot remember the details and dismisses it as nothing. Three days later Angela goes through her morning routine of catching up on Facebook and sees Jason’s name. She thinks he is trending but after clicking on the link, Angela knows differently. She turns on the tv clicking through the news shows stopping when she sees a picture of Jason in the right-hand corner. Then she sees the banner across the bottom saying the economist is accused of sexual abuse by an intern. Angela does more digging on Facebook finding out the name of the intern. She tries to reach Jason on the phone but to no avail. When he comes home, she questions him, but still, Jason dismisses it as nothing. Jason hires a lawyer to figure out his next move. And then another woman comes forward claiming Jason raped her. Angela still believes he is innocent until one of the women is missing. Now she is not so sure. She begins questioning every trip and late-night meeting Jason had. In addition, his lawyer is pushing for Angela to release her story to the media. Her perfect world begins unraveling. This is a fast-paced page-turner. Angela is a realistic character whom readers can relate to. I along with Angela, did not know whom to believe or trust. What I enjoy most about Alafair’s books are the legal aspects. This story made me think about what I would do in Angela’s place – protect my son, my husband, or my secret? The ending was an unexpected but pleasant surprise. The Wife is similar to The Ex because both are full of strong women who protect the ones they love. I must say though, I personally preferred The Wife. This was provided to Mystery Playground by the publisher. This review is fair and independent. Mystery Writers of America has announced the 2018 Nominees for the Edgar Allan Poe Awards (known as the Edgars), honoring the best in mystery fiction, non-fiction and television published or produced in 2017. The Edgar Awards will be presented to the winners at a banquet on April 26, 2018 at the Grand Hyatt Hotel in New York City. Congratulations to the nominees and this years' honorees. 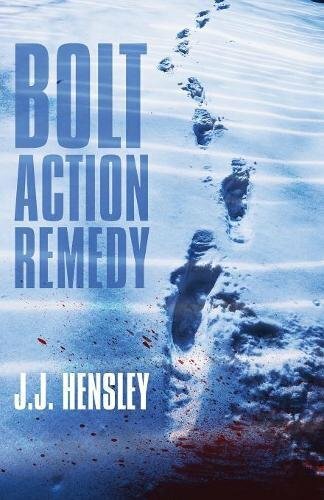 J.J. Hensley, a former police officer and former Special Agent with the U.S. Secret Service, joins us today for Q&A about his book, Bolt Action Remedy. Hensley, who is originally from Huntington, WV, graduated from Penn State University with a B.S. in Administration of Justice and has a M.S. in Criminal Justice Administration from Columbia Southern University. Where did you get the idea for BOLT ACTION REMEDY? How did you know that was the book you wanted to write? Ever since I finished my first novel (RESOLVE), which was set against the backdrop of the Pittsburgh Marathon, I knew that someday I wanted to write another novel that incorporated an endurance sport. I toyed around with concepts involving a triathlon or a cycling race, but nothing seemed to click with me. Then, one day it dawned on me that not only is the sport of biathlon fascinating, but all the competitors are armed. What's better than that???? So, I developed a story in which the investigator would have to try to solve an improbably crime by working his way through an unusual pool of suspects. Why did you decide to write about biathlon? I think I've been aware of the sport for most of my life, but in 2002 I was working for the Secret Service and spent a couple of months in Salt Lake City, UT for the Winter Olympics. I learned more about the sport and I think my initial admiration for the abilities of the athletes always stuck with me. However, it took me fifteen years to get to the point where I could draw upon that experience and write Bolt Action Remedy. Have you participated in biathlon or any of the other winter sports? I can't ski or skate and hate being cold. Other than that, I'm perfectly suited for winter sports! Did you speak with athletes as part of your research? I ended up getting a little help from former U.S. Olympic biathlete Curt Schreiner. He helped me understand some of the nuances of the sport and probably saved me from making some embarrassing mistakes. Tell us a bit about Trevor Galloway. Where did this character come from? Who is he? Galloway is the protagonist I wish I would have had the ability to create years ago. For this novel, I really needed to create an investigator with great intellectual depth and even deeper internal conflicts. He's a former Pittsburgh narcotics detective who has been asked to investigate the year-old homicide of a prominent Pennsylvania businessman who was gunned down on his estate in Central Pennsylvania. Galloway is stoic on the outside but has a fuse burning on the inside. To complicate matters, he has some PTSD issues and encounters the occasional hallucination. He probably should avoid any stress, so needless to say I threw him into incredibly stressful situations. I'm kind of a jerk to my characters. Ask around. What made you decide to address drug addiction through Trevor’s eyes? I never intended the addiction aspect to be a main part of the story, but I did want it to always be there, looming in the background. Galloway is a man who has his demons and the demons you can't see and can't predict are often the most frightening. When a character is constantly waiting for the other shoe to drop, it creates a natural tension throughout the story. How has your past experience as a police officer and Special Agent for the Secret Service informed your work? Do you your non-writing experience puts more pressure on you to get the details “right” in fiction? I'm always calling on my training and experience when I'm writing. The funny thing is I don't think my readers are holding me to a higher standard when it comes to accuracy. However, I raise the bar extremely high and take few liberties when it comes to processes and procedures. The world of law enforcement is fascinating enough without having to turn it into a Hollywood production. If Trevor was actually a real person, would you be friends with him? Why or why not? I think I would. Both of us choose our words fairly carefully, but not always carefully enough. We both carry ourselves with a certain amount of stoicism. And neither of us are fans of idle chatter. Damn. I guess I do like him. Now I feel guilty for putting him through so much. You recently moved from Pennsylvania, where BOLT ACTION REMEDY is set, to the south. Has the move affected your fiction in any surprising ways? I moved to a town outside Savannah, Georgia a couple of months ago, so I haven't written much since the move. However, this is certainly a fascinating area. It may be a while until I integrate my new surrounding into my writing, but I'm sure it will happen. I have a six-year-old daughter. She smiles every time she sees her name in the dedication of one of my books. Nothing beats that. What was the last mystery novel you read, other than your own, that you LOVED? Why did you love it? 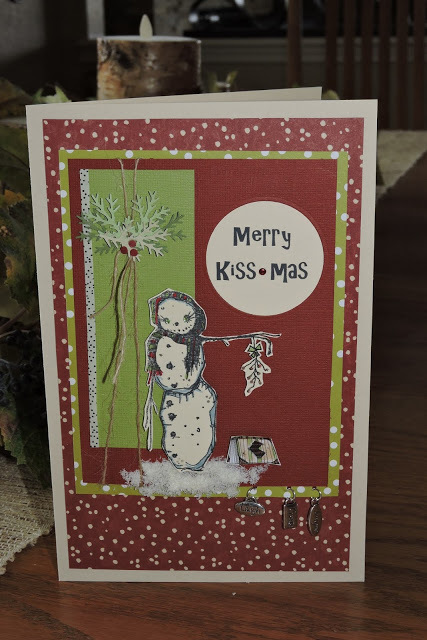 Method 15/33 by Shannon Kirk. I read a couple sentences of the synopsis on the book jacket and thought it might end up being the typical abducted girl waits to get rescued story. IT WASN'T. It's spectacular. If you could be any character in a book, who would you be and why? Part of me wants to say Jack Reacher. But, as much as I love the Lee Child books, when you boil it down he's an extremely violent homeless dude. I'm going to go with an obvious answer and say James Bond. Because... well... it's freakin' James Bond. 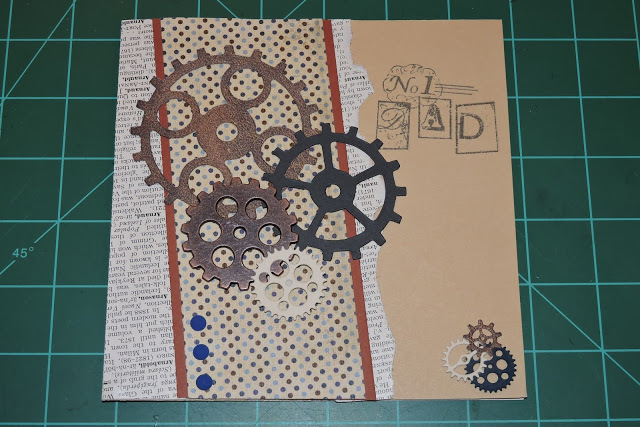 What are you working on now, and when can readers expect it? 2018 should be a blast. I just had a story called State of Decline published in Down and Out Magazine. I've got a story in THE NIGHT OF THE FLOOD that comes out in March. It's a novel told in stories compiled by thirteen incredible authors (and me). And since I just mentioned him, Lee Child called THE NIGHT OF THE FLOOD "A brave concept brilliantly executed." Fine. I take back the "homeless dude" comment. The second Trevor Galloway novel, RECORD SCRATCH is coming out in October. I found that having a pot of fresh brewed coffee with Bailey’s Irish Creme to be the perfect beverage while reading Daniel Silva’s The Marching Season during a recent cold snap. Within just a few pages, I was pulled into the intrigue as Silva’s protagonist, Michael Osborne was lured back into the CIA after a brief retirement. Seems he and his wife were the targets of a very skilled killer for hire who goes by the code name October. Osborne’s father in law is the newly named Ambassador to the Court of St. James, and unbeknownst to him, October has him in his sights. Set in Northern Ireland, with London, Washington DC, and the island of Mykonos each playing a role, the story included great history on the IRA and the ‘Troubles’ occurring in Northern Ireland in the late 1960’s and throughout the 1970’s and 80’s. While Silva has created a great series with his Gabriel Allon lead, I enjoyed his character of Michael Osborne and for those readers who do follow the Allon series, you’ll discover that some characters from that series also play prominently in the Osborne stories as well. Nice to see a bit of crossover and learn some back history on characters you’ve come to know. I also found myself intrigued by October and learning of his past and just how he came to be a paid killer was well plotted out by the author. Given the chilly weather it was a treat to be curled up in a comfy chair with a fire going, and adding, as my Mom would say, ‘ a good snort’ of Bailey’s to a hearty cup of java. I don’t just enjoy it with reading — it's also my ‘go to’ sleep aid on long international flights. It's time for our first ever Mystery Playground Book Club Meeting. Our first pick was Death Comes to Pemberly by PD James. Here's what the MP team thought. Make comments below or come to the Mystery Playground Facebook Group. 1) Do you think the characters remained true to Jane Austen's Pride and Prejudice? 2) Did you like the book? 3) Were there any plot holes, or things that bothered you? 4) Do you want to see the TV mini-series based on the book? The book started out a little slow for me. James' summarizes Pride and Prejudice a little and I thought if you're familiar with Austen you don't need it, and if you're not familiar with it, the summary goes too fast to be of any use. After the summary, I found the book highly entertaining and easy to follow the plot. For me, the characters were true to Austin, for the most part, with one major exception. I did have some questions about the ending, which I won't discuss here in case you haven't read it. I have already seen the TV mini-series, but I didn't remember the ending when I read the book. I thought the book was great fun. I hadn't read Austen in years, but reading the phrasing in this book brought it back. The backhanded insults made me laugh. Mrs. Bennett and Lydia are still laughable. Without giving anything away, I'm still not sure about how Wickham was portrayed. This was a fast, enjoyable and easy read. Great for a break. I enjoyed the book, but I have no interest in seeing it on TV now that I know the ending. I'm glad I read the book. I wouldn't have picked it up myself. 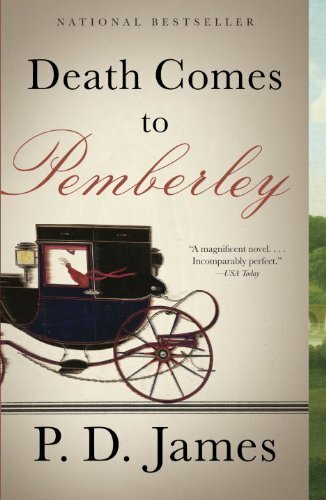 I’m a big fan of PD James mysteries as well as all of the Jane Austen novels, so I was very excited to read Death Comes to Pemberley. I think James really captured the characters as they appeared in the original Austen novel. The mystery she created surrounding the ball at Pemberley was very intriguing and kept me guessing throughout. I enjoyed reading The author’s take on the lives of the Darcy’s post Pride and Prejudice. She managed to write the book as if it were written in the Jane Austen period. Once I had myself in that mindset, it was all smooth sailing and very enjoyable. I’m now off to see the movie, so I can see how the book was adapted for television. It's time to swap some soup! On cold winter days a big pot of homemade soup is a welcome friend. But on day five eating the soup, not so much. You can freeze the extra, but sometimes the veggies aren't as tasty. The solution to this is the old fashioned soup swap. Invite five of your friends to your house and ask them to make a pot of soup each and separate it out into six disposable plastic containers with the recipe. Then you trade the containers of soup. I usually host a lunch for the swapping, and the menu definitely contains soup. My friends and I have also done non-soup meals, but soup is the easiest by far. 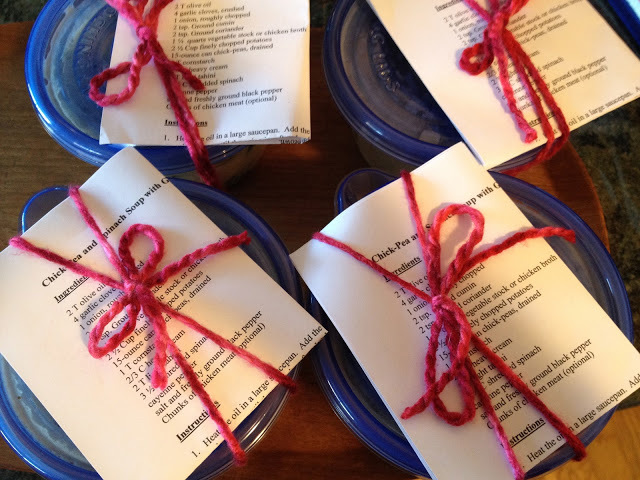 It's a fun event and a great way to take care of lunch for the week. Kerry Hammond is here to match book two in a great series by Elizabeth Peters with the perfect drink. 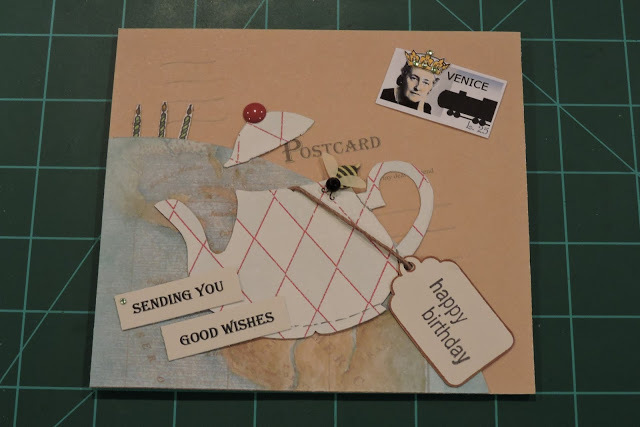 I’m a big fan of everything Elizabeth Peters. Her Amelia Peabody series is one of my favorites of all time and I’ve read each installment multiple times. I am also a fan of the shorter, but extremely entertaining, series featuring Vicky Bliss, a professor of art history who can’t seem to steer clear of adventure—and trouble. We’ve already paired the first book in the series, Borrower of the Night, with a mulled wine drink HERE. Today we are tackling book two, Street of the Five Moons. Our drink is Ignorance is Bliss. The obvious connection to Vicky Bliss needs no explanation, but it also plays on the irony that even though Vicky is well educated, due to her measurements she has trouble getting people to take her seriously. In Street of the Five Moons we travel from Munich, where Vicky is working at the National Museum, to Rome, Italy. She is on the trail of a master art forger whose forgeries could cause a threat to the authenticity of collections in every museum across the globe. In Rome she meets a man calling himself Sir John Smythe, someone she is romantically drawn to even though she suspects him of some shady dealings. As she closes in on the identity of the forger, she finds herself wrapped up in a level of intrigue she has never experienced. The Vicky Bliss series is a lot of fun and they’re great books to read over and over. I find myself turning to one when I’m in the need of a book that is sure to entertain. Kind of like comfort food for the mind. Put all ingredients in an ice filled shaker, shake well, and strain into the glass of your choice. Squeeze and top with a wedge of lime if you’re feeling daring. Nicci French’s 7th book in the Frieda Klein series is out and Kerry Hammond is here to tell us all about it. My Mom also read the book and loved it. 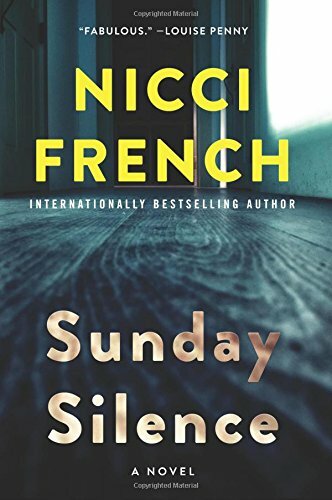 London-based Psychotherapist Frieda Klein is back in her 7th book, Sunday Silence by Nicci French. It releases on January 9 from William Morrow Publishers in Trade Paperback. The series is written by a British husband and wife team, Nicci Gerard and Sean French, and they have been keeping readers on the edge of their seats with twists and turns since the first book to feature Frieda, Blue Monday. In Sunday Silence, Frieda is immediately placed on the police radar when a body is found buried underneath the floorboards of her house. She believes she knows who the perpetrator is, a man who has killed before and is strangely obsessed with her. The problem is, this man supposedly died years before and the police refuse to believe Frieda when she tells them he is still alive. As the investigation progresses, it becomes clear that Frieda is facing not one but two obsessive killers. But it’s not Frieda who seems to be in danger, rather it’s each and every person she loves. Frieda is a great character and I have always found her fascinating. She is intelligent, resourceful, and fiercely loyal to her friends and family. She approaches things in a calm and calculating manner, always analyzing the situation rather than losing her head. She is able to see what the police can’t and is always far ahead of them in solving the murder, but she struggles with trying to convince them that her analysis is the correct one. This is great series and I would recommend that any new reader start with the first book in order to get to know the characters and best follow the progression of the storyline. This book was provided to Mystery Playground by the publisher. The review is fair and independent. In our latest installment of the Mystery Playground Recommends series, where a member of our Mystery Playground team chooses an author whose work they would recommend as a body of work, Kerry Hammond is here to tell us how much she loves to read Carolyn Hart. Carolyn Hart is the author of 58 novels. She writes traditional mysteries for readers who prefer a whodunit without all of the violence and gore. In addition to several standalone novels, Hart has written three very difference series. Her Henrie O books feature a 70 something retired news reporter and in her Bailey Ruth Raeburn series her protagonist is the ghost of woman who returns to earth as an emissary from Heaven’s Department of Good Intentions. The third and by far my favorite is Hart’s Death on Demand series, which follows Annie Laurance Darling, owner of Death on Demand book store on the island of Broward’s Rock, South Carolina. Annie and her husband Max (spoiler alert, they’re not yet married in the first book) find more than their fair share of murders to solve in their small island community. The books are great reads, the characters are well written and interesting, and the mysteries are always a great puzzle to try and solve. The first book in the series was written in 1987 and is called Death on Demand. There are 27 books in this series, more than enough to keep any reader busy for the foreseeable future. 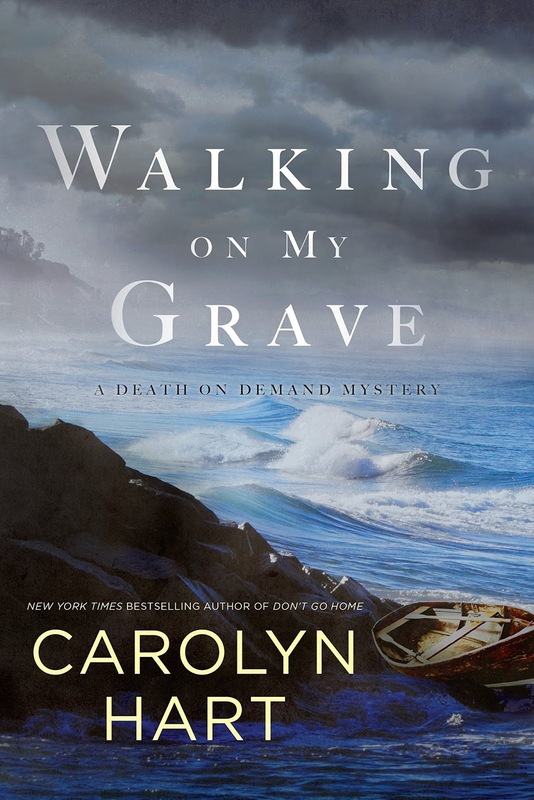 The series is still going strong and the latest book, Walking on My Grave was just published in 2017. As an added bonus, true mystery fans will also get a kick out of the fact that Hart mentions other mystery authors in her series. 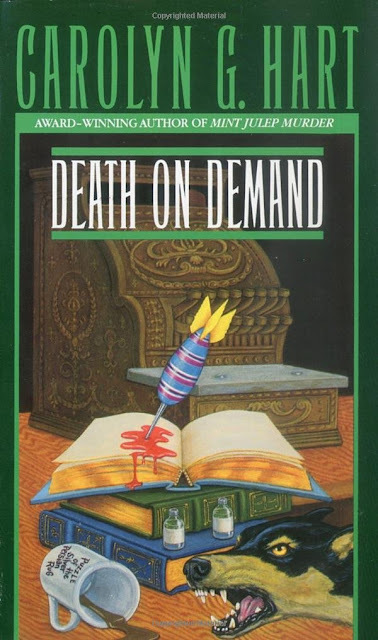 Customers are always approaching Annie at Death on Demand to get recommendations, and Hart gives a shout out to lots of great mysteries and authors in her books. It’s a good idea to have a pen and paper handy to jot down titles to add to your TBR pile. 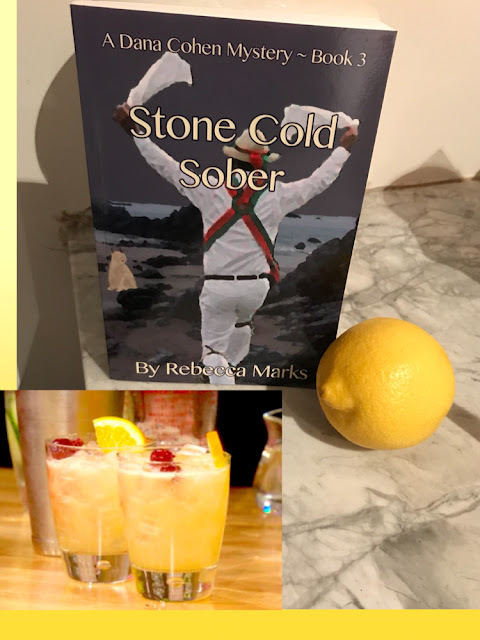 Rebecca Marks joins us for our first Drinks with Reads for 2018 with Stone Cold sober with a Scotch Sour that can be served with or without alcohol. In Stone Cold Sober, Dana Cohen, a forty-three-year-old, hard-drinking NYPD detective, spent twenty-two years on the force before retiring to Long Island. Now Dana’s best friend, Marilyn, is directing a local musical theater production. Dana’s estranged lover, and the father of the child she’s carrying, Alex Frazier, is a dancer in the show, but Dana has no theatrical talent at all. So Marilyn cooks up a way to get the two former lovebirds together, hiring Dana to work security. When Dana discovers a gruesome murder during one of the show’s rehearsals, her “detective gene” kicks in, and she can’t resist the urge to throw herself into the case. But as she investigates, she uncovers some dark secrets and realizes, too late, how far people will go to keep them hidden. Fill a cocktail shaker with ice. To the cocktail shaker add the scotch, lemon juice, simple syrup and egg white, if using. Shake for about 30 seconds; pour into a rocks glass filled with ice. Garnish with cherries and orange. Until Dana gives birth, she has to leave out the Scotch, which will produce a cool, non-alcoholic lemonade drink. After her baby is born, she can add the Scotch back. Rebecca Marks has been writing, playing music, and singing for as long as she can remember. Her Dana Cohen series includes On the Rocks, Four Shots Neat, Stone Cold Sober, and Old Fashioned with a Twist (available in early 2018). Marks is also the author of About Time and About Face. 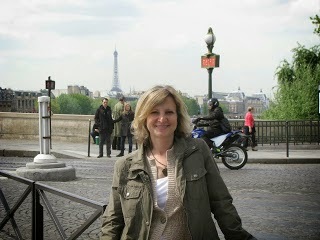 Visit her website at RebeccaMarksAuthor.com. You can find her on Twitter: @rmarksauthor and Facebook. With the begining of the new year it's time to get organized and for us that means getting ready for all of the holidays in each of the 12 months of 2018. 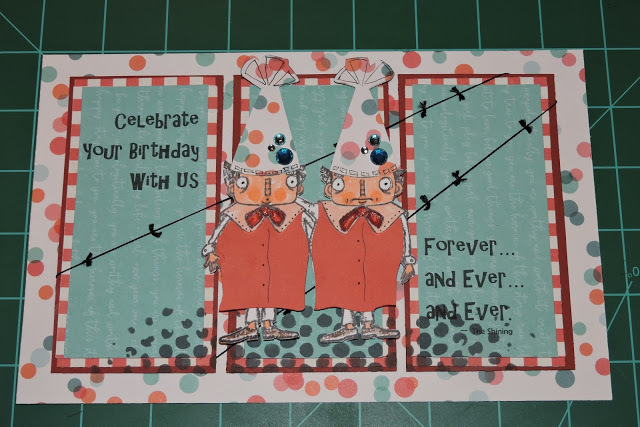 Lorraine Masonehimer has created special cards for every special occasion, and we have recapped them all here - it's a wonderful new year of home made, mystery-themed cards. There's plenty here to keep you busy all year. 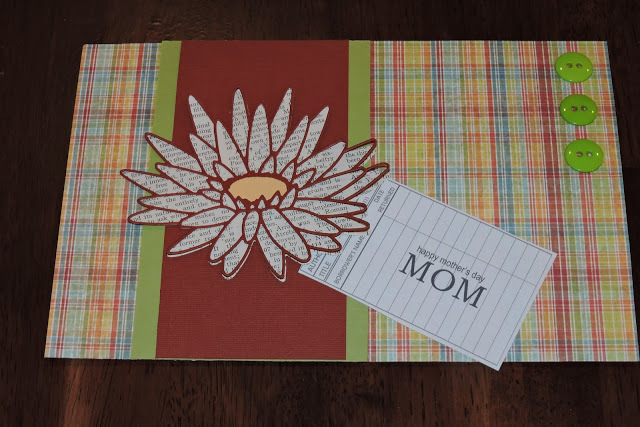 Let's start with the birthday cards and the notecards, since those can be used any month. 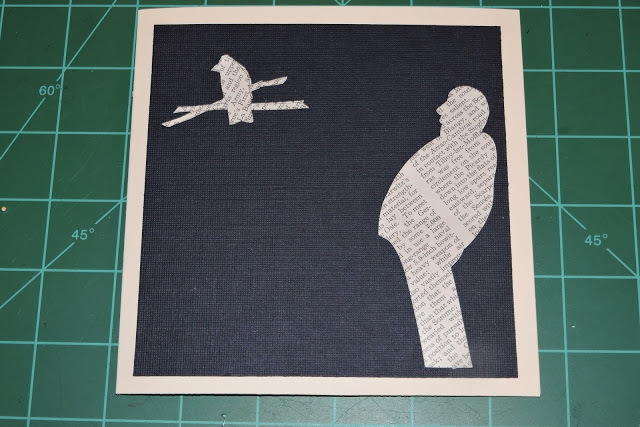 And the Alfred Hitchcock series of notecards. Happy New Year! Hope 2018 is fabulous for you. Welcome to 2018. Hope you all had a great holiday break. I made a dent in the TBR pile, and watched a few movies on TV. Miss Sloan, one of the movies that I liked best, stars Jessica Chastain as a lobbist who is willing to do almost anything to win. It's not a traditional mystery, but it does have mystery elements. Here's the trailer. The world's largest Mystery Convention is in Florida this year September 6-9 (see yesterday's post for a 2018 Mystery Convention Calendar) and registrations are discounted until January 15th. They are also holding a contest - those who register will be entered to win annother registration for a friend. Details are on the Bouchercon Facebook page. 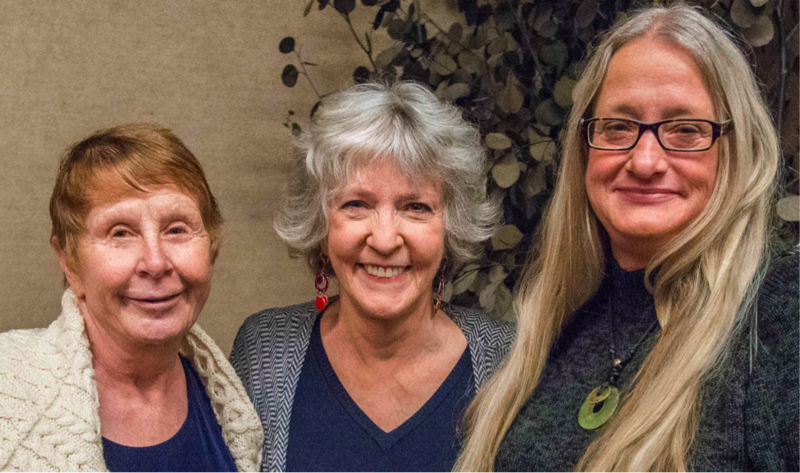 Marcia Muller, Sue and Jan Burke held a wonderful panel at Left Coast Crime in 2014 where they gave real answers to hard questions. Here's our recap of that panel. 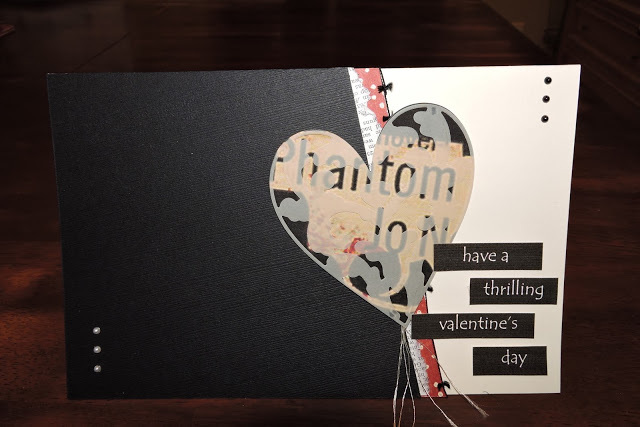 Kerry Hammond loves Sue Grafton's books so much that she wrote a tribute in 2013 in S is for Sue Grafton. We will miss you, Sue. Thank you for giving us Kinsey. One of our new year's resoultions is to get the Mystery Playground Book Club going. Our first book pick is Death Comes to Pemberly by PD James. My mom and I have both finished the book already and it's great fun. You can join the Mystery Playground closed Facebook group for discussion here. We'll be disscussing it mid-month so there's still plenty of time to read it if you haven't already. Mystery Fan conventions can be a great way to meet your favorite author, get introduced to new authors and even meet fellow mystery fans. I've outlined the big ones that I've been to here for 2018, so you can begin planning a great year. First off, is Left Coast Crime. This conference focuses on authors and fans from the Left Coast of the country and this year it's in Reno, NV from March 22-25. Guests of Honor are Naomi Hirahara and William Kent Krueger. The toastmaster is Todd Borg. And the Ghost of Honor is Mark Twain (played by McAvoy Layne). 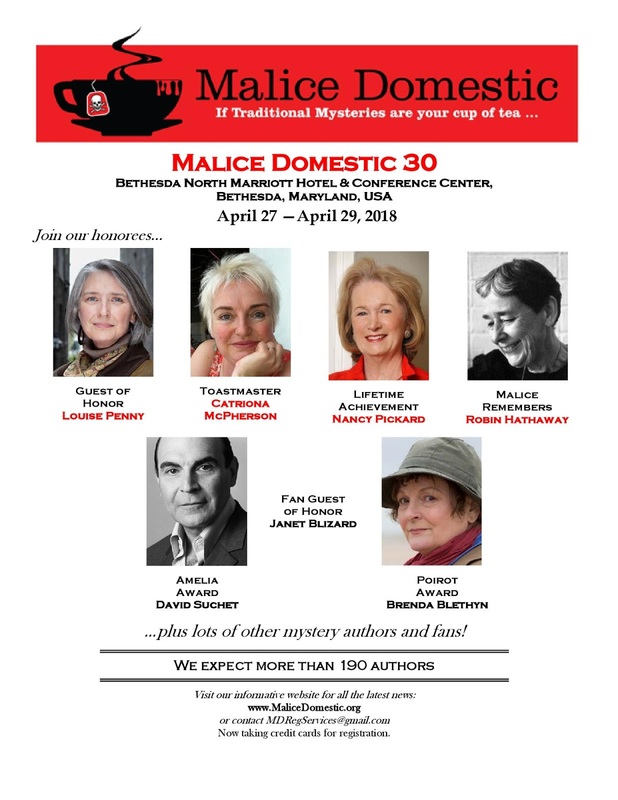 In late April we have the Malice Domestic convention focuses on traditional mysteries. Here's all the details for Malice Domestic in Maryland, April 27-29. Thrillerfest, which as you might expect, focuses on thrillers. 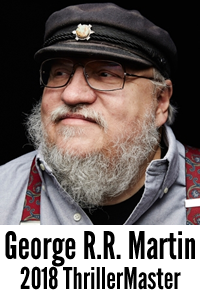 It runs in New York City at the Grand Hyatt from July 10-14 and this year the Thrillermaster is George RR Martin with the Silver Bullet Award going to James Rollins. 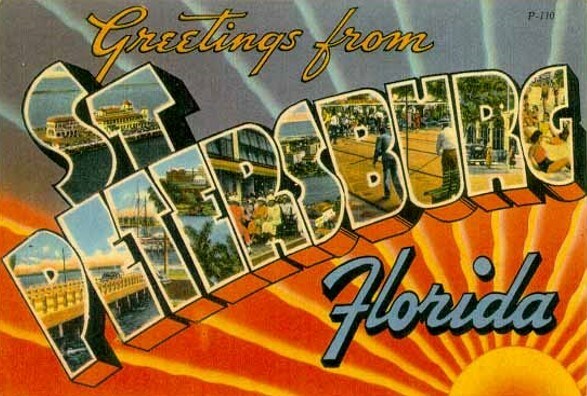 Bouchercon 2018 will be in St Petersburg, Florida, September 6-9. They have a great slate of honorees (see below). Including Ian Rankin, Karin Slaughter and Fan Guest of Honor, Judy Bobalik. It's January and time for everyone to get fit! If you're gym is too crowded and you're looking for a fun way to run, I'd like to introduce you to a fun storytelling app that helps you exercise by having mythical zombies chasing you. That isn't a typo. It's on iPhone and Android, and the app tells you a story that involves missions to gather food, medical supplies, save others, or just save yourself. The story telling is good, and the zombies chase you at just a little bit more that your usual pace, so you have to push yourself, but not past the point of being productive. There are more than 200 missions for you to go on, and part of the program even lets you add your own music for longer journeys. This is one of the must fun fitness apps I've tried. I hope you like it as much as I do.